Some questions never go away. We may ignore them, or be so distracted or addicted or busy to notice them but they still don’t go away. And even when times are particularly dark, there will be artists and thinkers and storytellers and poets to remind us they still require an answer. In 1982 one such storyteller was Ridley Scott. The question he raised in his film, Blade Runner, was both ancient in essence and up-to-date in its specificity: What does it mean to be human in a world of machines? Now, director Denis Villeneuve adds the next chapter of the story in Blade Runner 2049. And in the process the question, still so vital and imperative, is raised in updated form, once again—to our benefit if, that is, we have ears to hear. The world imagined in the Blade Runner films is one in which human beings live side by side with robots essentially indistinguishable from people. These “replicants” are manufactured, used essentially as slaves and are extinguished (it’s called “retired”) without regret—they are not human, after all. Still in their dying they bleed red blood that looks identical to human blood splattered on the clothing of the Blade Runners (a branch of the police) who hunt them down. Unlike a lot of reboots or long-delayed sequels that merely remix the themes and characters of the beloved original to give viewers the hollow comfort of familiarity, Denis Villeneuve and his team are remarkably ambitious, using the topics raised by Blade Runner to continue the conversation instead of just repeating it to make a buck. To that end, they have made one of the most deeply philosophical and challenging sci-fi films of all time, a movie that never holds your hand as it spirals the viewer through its gorgeous funhouse of the human soul. The primary question the films are exploring is of deep significance. What does it mean to be human? Asked in every generation in every culture, how we answer it makes a difference in the laws we pass, the values we espouse, the relationships we cherish and discard, the ways we treat those different from us, and the hopes and fears we have whenever the specter of death draws near. And because the films are posing this question in our world, the question of our humanity is raised in a technological world full of machines. How does our setting affect our understanding of and our personal sense of humanity? The films are quite brilliant in the way they imagine the world of our future. The striking visual design and landscapes—both of crowded urban areas and the rural wastes beyond their edge—do not just suggest what our surroundings might be like in a few years but they serve as a powerful metaphor for what life will be like—and more importantly, is like. The world that Scott and Villeneuve imagine for the future has distinct echoes of today, for blessing and for curse. Replicants exist in both films though the technology has improved dramatically. In the first film the dilemma arises when the machines become aware of death and desire to live. They gain self-knowledge and rebel against the built in lifespan that will cut their existence short. Is this what makes biological machines human? The second film takes an even greater myth as the basis of the dilemma: what if the replicants are able to give birth? 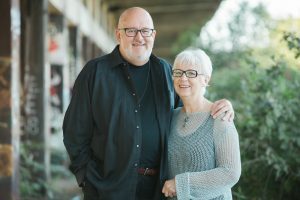 The creation and fall narratives in scripture provide a great expression of the ultimate hope of humankind—God’s promise of a redeemer is linked to the birth of a child. St Paul even speaks mysteriously of being “saved through childbearing” (1 Timothy 2:15), and somehow, even in dire straits the birth of a child evokes joy and a rekindling of hope. This is our world, with its misogyny made more open and socially acceptable. Good science fiction is never ultimately about other worlds or the future. It is about us, and our world, and the questions we need to ask if we are to make sense of life. Blade Runner and Blade Runner 2049 are good science fiction. The issues they raise and the questions they pose do not have easy answers, especially today when civil conversation about the things that matter most is sadly rare. And that’s exactly the sort of conversation that discerning Christians need to nurture. 1. What was your initial or immediate reaction to the film? Why do you think you reacted that way? Do you tend to enjoy science fiction as a cinematic genre? Why or why not? In what ways can science fiction do a better job than realism in revealing the deeper, spiritual aspects of reality? 2. In what ways were the techniques of film-making (casting, direction, lighting, script, music, sets, action, cinematography, editing, etc.) used to get the film’s message(s) across, or to make the message plausible or compelling? In what ways were they ineffective or misused? 3. What was made attractive? How is it made attractive? 4. With whom did you identify in the film? Why? With whom were we meant to identify? How do you know? Discuss each main character in the film and their significance to the story. 5. Discuss the issues and questions raised in this review. What is the biblical or Christian perspective on them? Why are they not deemed as attractive explanations in our culture? How can you talk about them in a creative and intelligent way to people who do not share your deepest convictions and values? 6. The Christian conviction is that human beings bear the likeness or image of God by virtue of his creation (Genesis 1:26-31). Yet the scriptures never define exactly what that image includes, though Christians have often proposed various possibilities. How might the silence of the scriptures at this point be important? What does the notion of bearing God’s image speak into the questions raised by the Blade Runner films? 7. There is a hint of overriding sense of mystery or even transcendence in Blade Runner. What evoked this and what does it add to the film? Is it present in Blade Runner 2049? 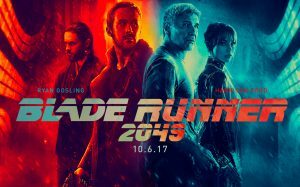 Sources: Brian Tallerico online (http://www.rogerebert.com/reviews/blade-runner-2049-2017). A. O. Scott online (https://www.nytimes.com/2017/10/02/movies/blade-runner-2049-review-ryan-gosling-harrison-ford.html?_r=0).